Funeral Advantage - the indie rock/bedroom pop project of Massachusetts's native Tyler Kershaw - has announced details for his upcoming new album "Nectarine." Fans can hear the new song " Black House" premiering exclusively with Atwood Magazine at this link: bit.ly/2QVvV2U. "I was having a hard time relating to my previous output. I wanted to make art about things other than myself and my experiences," Kershaw said. "I have a much healthier relationship with Nectarine than I did with my other releases." His music has been featured and applauded by Boston Globe, Stereogum, Consequence of Sound, Vanyaland and Brooklyn Vegan. "You have to learn balance between leading a mentally sound personal life and the life you try to imitate while people are looking at you," he continues. "My songs are going to be about how certain people deal with that, for now." 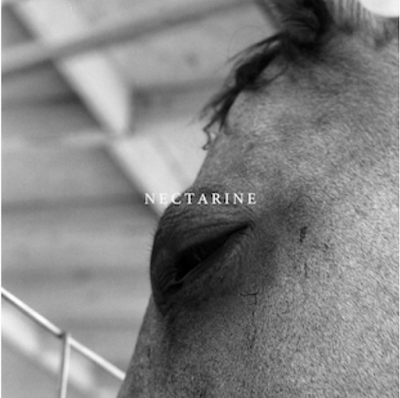 Nectarine will be released on February 22, 2019 through Brooklyn's Sleep Well Records. Sleep Well Records is a Brooklyn based independent record label, founded and managed by indie artist pronoun aka Alyse Vellturo. The current roster includes pronoun, Cape Francis, Sulene , Charles Fauna and Henry Nowhere who have been praised with publications such as NPR, Nylon, Billboard, Earmilk, Stereogum, Buzzfeed, The 405, and more.